MAX31856 Driver for FreeBSD « Adafruit Industries – Makers, hackers, artists, designers and engineers! github, so if anyone wants to use it, feel free to. 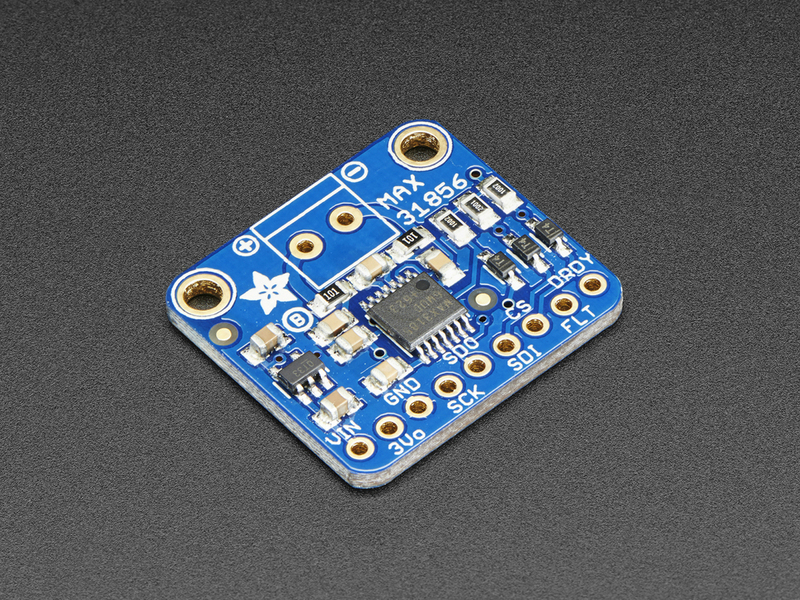 Adafruit Universal Thermocouple Amplifier MAX31856 Breakout: Thermocouples are very sensitive, requiring a good amplifier with a cold-compensation reference, as well as calculations to handle any non-linearities. For a long time we’ve suggested our MAX31855K breakout, which works great but is only for K-type thermocouples. Now we’re happy to offer a great new thermocouple amplifier/converter that can handle just about any type of thermocouple, and even has the ability to give you notification when the temperature goes out of range, or a fault occurs. Very fancy! Read more.